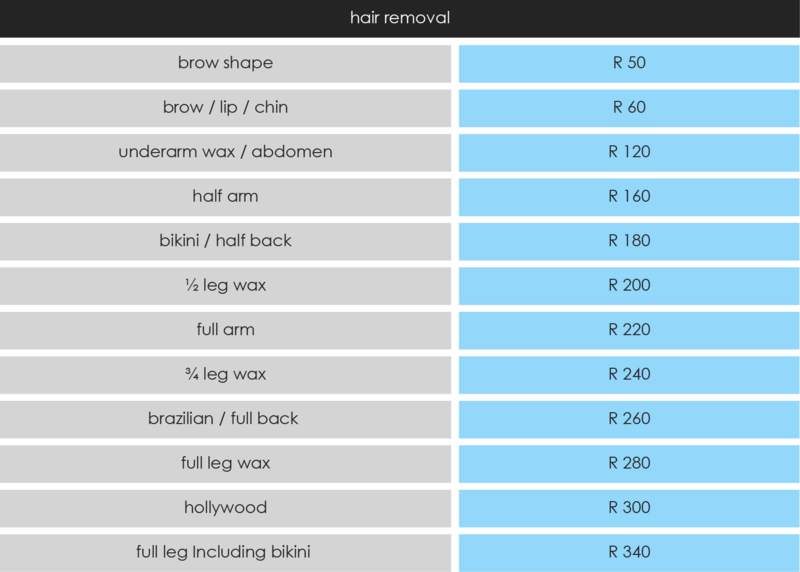 At Pure Day Spa, we provide some of the most superior waxing Durbanville clients have access to, for both men and ladies. The highly skilled therapists at our spa use only professional, salon quality wax, ensuring our clients receive a less painful and more comfortable treatment every time. Our waxing treatments include both facial and body waxing. Gift vouchers are available for waxing. If you are interested in finding out more about our waxing treatments, feel free to contact us. If your special day is getting closer, such as your wedding or Matric Dance, you will want to start the grooming process before it is too late! Treat yourself to some of the best waxing options available from the expert therapists at Pure Day Spa. We offer a selection of effective and affordable treatments, starting with professional brow shaping, which allows clients to have their face properly framed by beautiful brows. Clients can also choose to have their brows, lips or chins waxed – this is popular with our metrosexual male clients – in order to achieve a smoother, more refined facial aesthetic. Our treatments include expert abdomen and back waxing for men, and professional and comfortable bikini and leg waxes for the ladies. 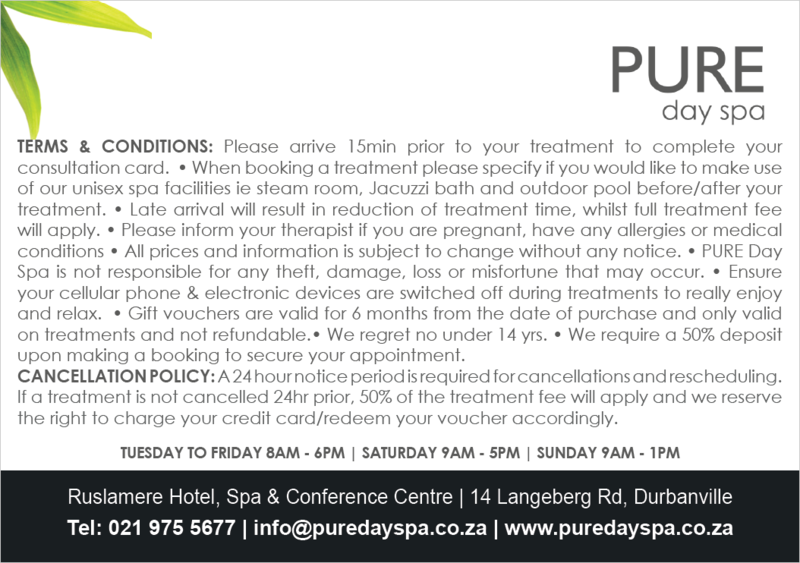 Pure Day Spa is the perfect place for the best waxing Durbanville clients have access to, as well as eyebrow shaping and tinting and eyelash tinting. This is the perfect beauty treatment to get ahead of a special occasion, as it will provide those with lighter eyebrows and eyelashes to have fuller, more lush lashes and visible eyebrows – perfect for those elegant photos!